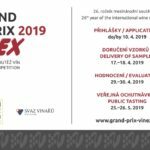 GRAND PRIX VINEX is a prestigious international wine competition and one of the most important, held in the Czech Republic. The first year was held in 1993. Till 2010 Svaz vinařů ČR (the Czech Grape and Wine Producers Association) was the organizer of the competition. From 2011 it is organized by Národní vinařské centrum, o.p.s. (the National Wine Centre), Valtice, in cooperation with Veletrhy Brno, a.s. (the BVV Trade Fairs Brno) and Svaz vinařů ČR (the Czech Grape and Wine Producers Association). It will be already 26th year held in 2019. The public wine tasting of competition wines takes place at the Brno Exhibition Centre. 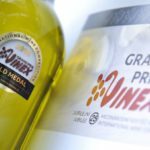 GRAND PRIX VINEX is a prestigious international wine competition, organized from 2011 by Národní vinařské centrum, o.p.s. (the National Wine Centre), Valtice, in cooperation with Veletrhy Brno, a.s. (the BVV Trade Fairs Brno) and Svaz vinařů ČR (the Czech Grape and Wine Producers Association). The objective of this competition is to give highly professional assessment and honour to the best European and world wines present on the Central European region market. 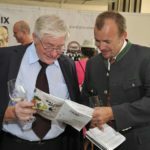 It is an accompanying program for SALIMA / VINEX trade fairs and has a long tradition – this year it is already the 26th year. The tasting committees host both domestic and foreign tasters. The public tasting of the best competition wines is intended for the general public and is held for two days at the Brno Exhibition Centre, already for several years as an attractive accompanying program (also international) and the widely visited sales exhibition Minerals Brno. On the first day of the competition wines presentation, the main awards of the competition are handed in with the participation of important persons. 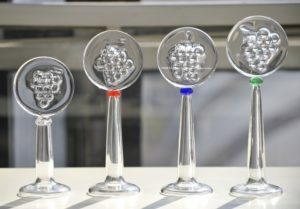 GRAND PRIX VINEX is the only competition for which the world-renowned designer and architect Bořek Šípek designed the trophies.